Firstly here one square (pixel) per day. 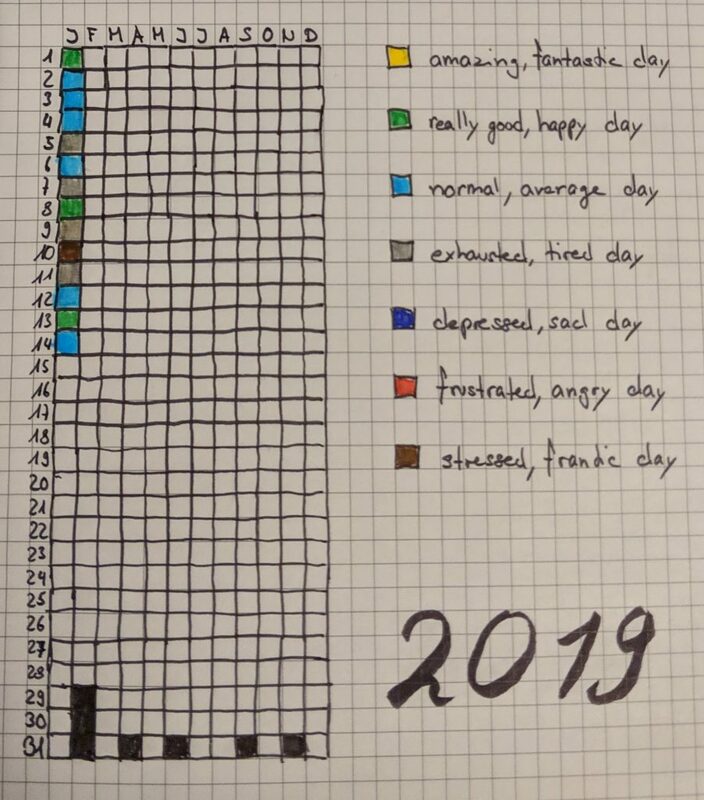 As you can see, last week was a bit stressful… But the last few days I could relax and get my energy back. Now when I decided to do this journal I thought, why only track the day? I could also do the same thing for the night! And so I did! But why stop there?! During the night I also dream! 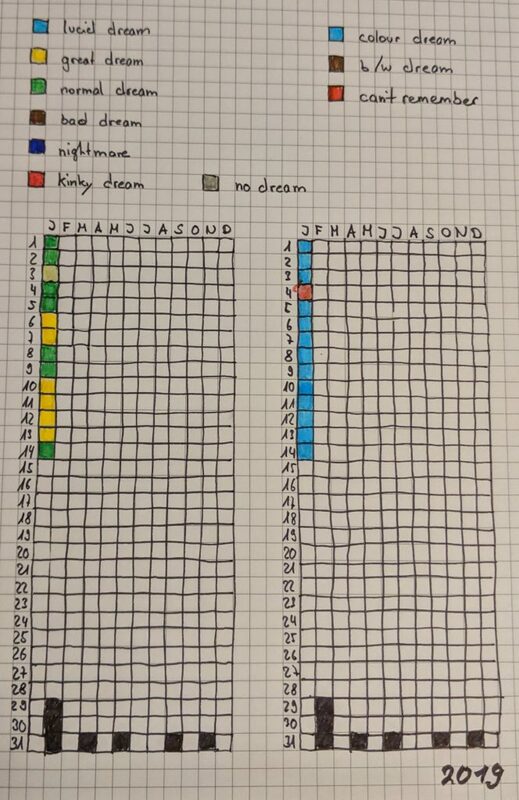 So I decided to make another TWO for my dreams! On the left you see what kind of dream it was and on the right if it was in colour or b/w. I had to add the “I can’t remember” option because I genuinely couldn’t remember it anymore the morning after the 4th of January. Other than that, all colour dreams for me which I am always really happy about. 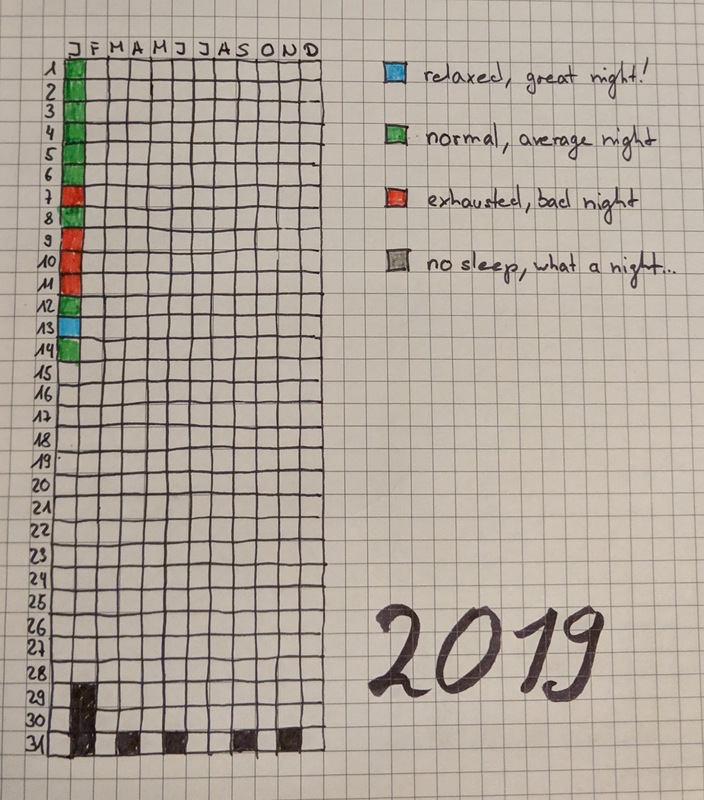 Previous Previous post: My Resolutions for 2019? Next Next post: We are the Warriors of Light and Darkness!